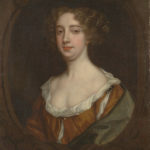 Aphra Behn was a British playwright, poet, translator and fiction writer from the Restoration era. As one of the first English women to earn her living by her writing, she broke cultural barriers and served as a literary role model for later generations of women authors. Rising from obscurity, she came to the notice of Charles II, who employed her as a spy in Antwerp. Upon her return to London and a probable brief stay in debtors’ prison, she began writing for the stage. She belonged to a coterie of poets and famous libertines such as John Wilmot, Lord Rochester. "Each moment of a happy lover’s hour is worth an age of dull and common life." "Love ceases to be a pleasure when it ceases to be a secret." "Nothing is more capable of troubling our reason, and consuming our health, than secret notions of jealousy in solitude." "Faith, sir, we are here today, and gone tomorrow."